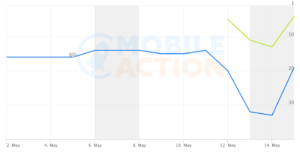 Signs point to an Apple App Store algorithm change occurring as of May 11th, 2017, specifically targeting branded or competitor keyword rankings. 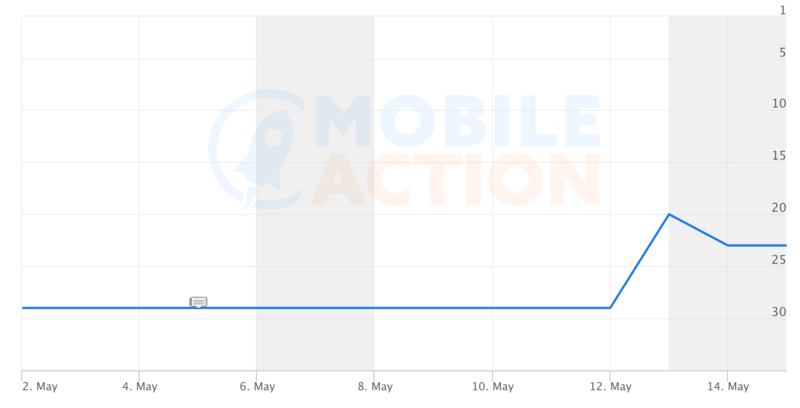 Last week we noticed a large shift for one of our clients. 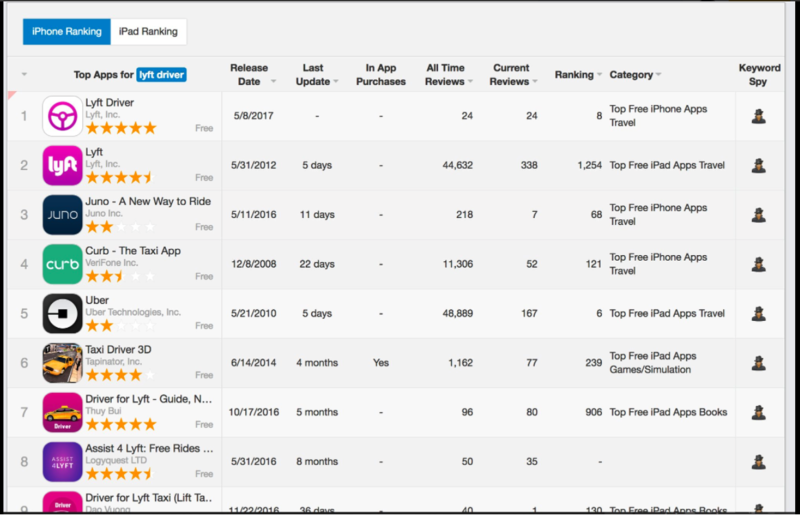 On Twitter, Quang reached out to us after spotting some oddities for ranking, specifically with results for lyft driver shifting one day vs the next. 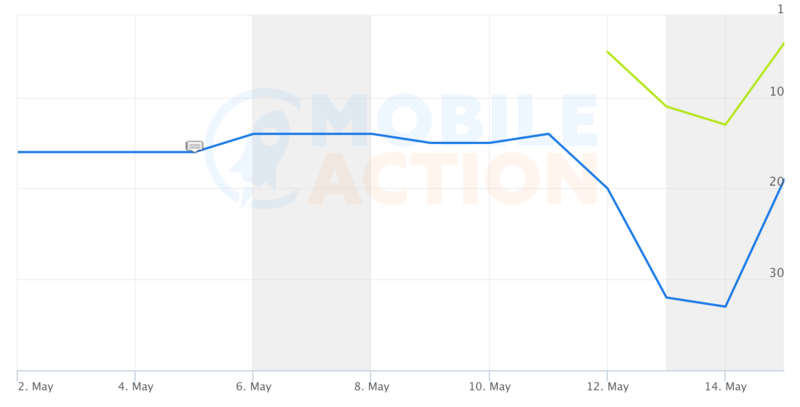 We confirmed the change in rankings by looking at Juno's keyword rank for lyft driver using App Annie. 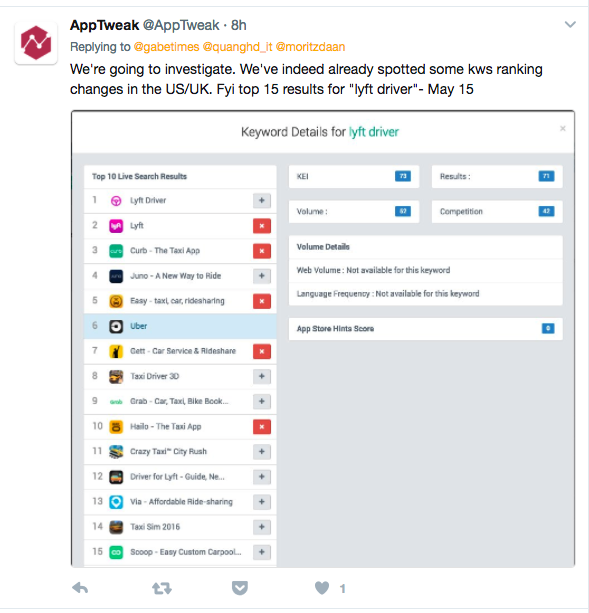 Juno's last update was on 5/2/17, indicating that the change in the keyword rank for lyft driver was not initiated by a change in Juno's keyword metadata. 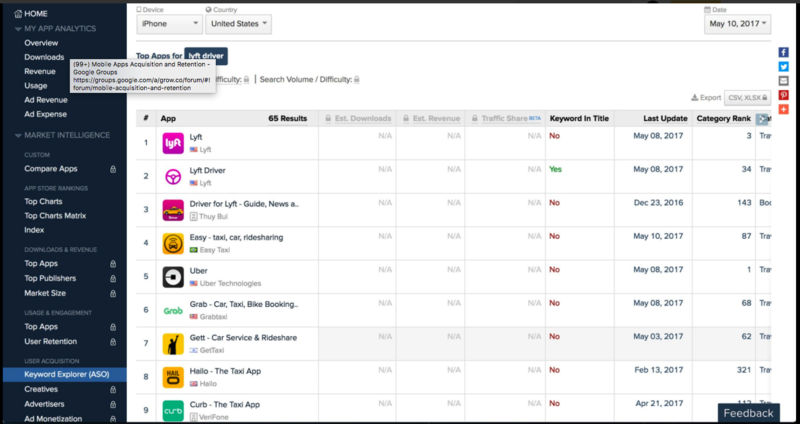 Using Juno as an example, we note that their keyword ranks for other competitors changed as well, including Lyft app, Uber, and Curb. 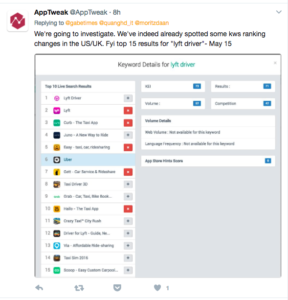 ASO tool AppTweak commented that they did notice rank changes happening as well for apps in the US and UK, offering the latest keyword ranks for lyft driver for May 15th. 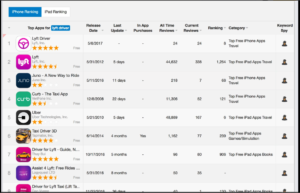 Additionally, a post and Twitter from Gabriel Johnson commented on Twitter that "Universal apps are being punished in the iPad top charts." 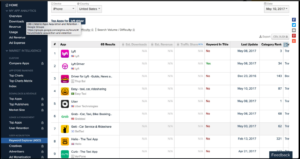 Other industry sources confirmed seeing changes happening for competitive keywords but preferring to remain unnamed. 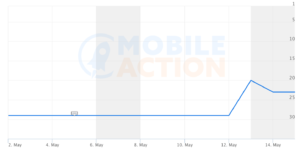 The Bottom Line: Check your competitive keyword ranks to see whether you were affected by what seems to be a May 2017 App Store keyword algorithm update.